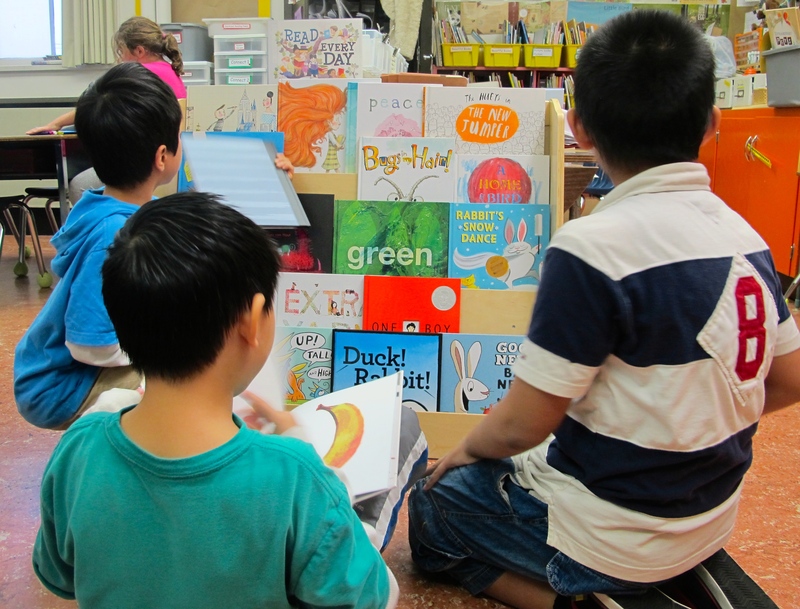 My favourite reading photo of the week is of these boys who discovered that I changed the books displayed in one of our picture book shelves and immediately plopped themselves down to begin reading. Book love! This isn’t a book that I would have picked up to read but I loved watching my students respond when a guest reader brought it to my room. They were intrigued by the folklore elements of dragons bringing rain, the detailed illustrations and the humour of the dragon family interactions. 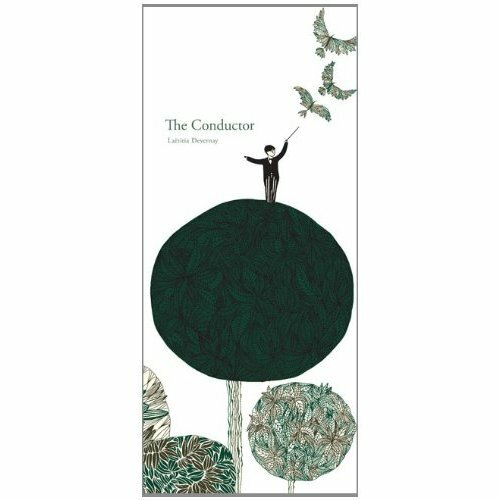 A lovely, longer read aloud. What a beautiful book! 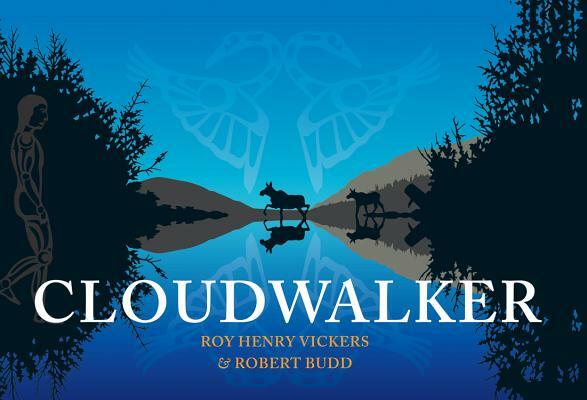 This is the ancient story of Gitxsan hunter who is dropped into the clouds by a group of swans. Stumbling on his walk through the sky, he spills water from his cedar box (a guloonich) and new lakes and rivers are created on the land below providing life producing waters for his people. This book highlights how nature interacts and our responsibility to respect it. I loved everything about this title. There are so many layers to this book and so many reasons to rave about it. The characters! Wow. The themes of science, family, friendship and the struggles of age and aging. Perfect middle grade literature. A must read. 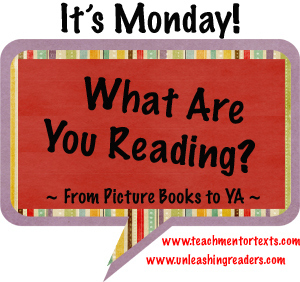 This entry was posted in It's Monday What are you reading? and tagged Aboriginal literature, Anna Fienberg, Barbara Fienberg, Jennifer L. Holm, Kim Gamble, Laëtitia Devernay, middle grade novels, Monday reads, picture books, Rob Henry Vickers, Robert Budd, wordless by carriegelson. Bookmark the permalink. Looks like lots of great illustrations in those picture books! 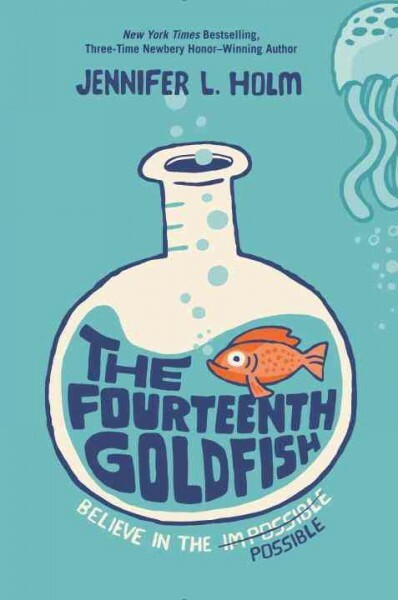 I’ll be rereading 14th Goldfish very soon to prep for our Newbery Club reading it. I have Nest, can’t wait to start it. I’ve heard it’s a heartstrings book! I’ve heard amazing things about Nest too so really looking forward to it. How I loved 14th Goldfish! I anticipate it’s going to be a great favorite in Children’s Lit class next semester too. I am also in the middle of Brown Girl Dreaming but have been for some time. I was loving it too much and put it down so that I could make it last longer by reading a whole bunch of other books before finishing it, LOL. And now I can’t quite remember where I was or what was happening! Hoping to finish it this week. Almost finished with One Came Home and also reading Beholding Bee, which I bought for the student I wrote the historical fiction recommendation post for. It’s wonderful! I need to finish quickly so I can give it to her to read. Loved both Beholding Bee and One Came Home so I am so pleased you are reading these. Historical Fiction can be quite incredible! That’s funny about saving the book to savour and now needing to reread to figure out where you are – maybe that was an intentional strategy! Thanks for sharing your reads, and your goals – mighty impressive! Thanks Norah! Wanted to get more read this week but enjoyed a few days away with friends. We didn’t get to any bookstores but had some wonderful time together and did some shopping. Of course today I headed out with my daughter and got my bookstore fix! I’ve got some Tashi books in the library. Other librarians swear kids love them, but I don’t see them flying off the shelves. I enjoyed the one, I read so maybe I’ll try pushing them again. I am green with envy about Brown Girl Dreaming, but think I will save it for a Christmas treat for myself. I have found that certain kids LOVE Tashi titles. I had never read any of the little novels but will say that this picture book had the kids captivated. You are going to love Brown Girl Dreaming! I adore Tashi. I think they teach kids about all the traditional folktale characters in such a neat way. The kids learn about stories within stories and about tall tales etc. I didn’t know about this one. Thanks! And this is the first I have read! 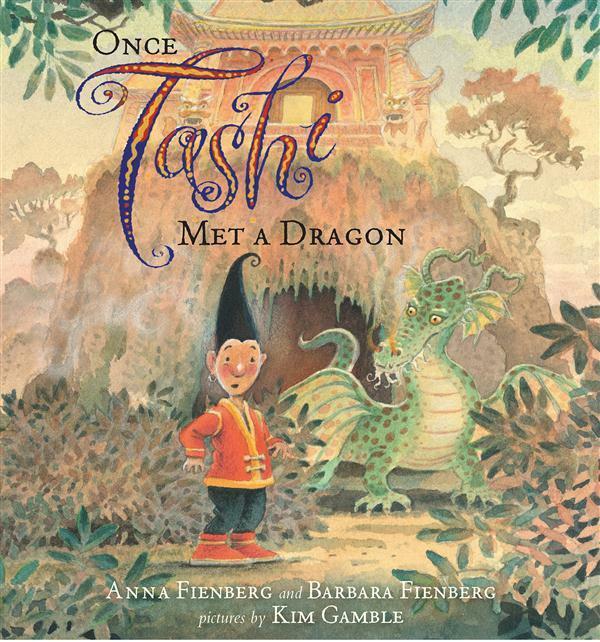 I had a little guy two years ago who was obsessed with Tashi stories. I enjoyed The 14th Goldfish very much, but the one you shared I’m most intrigued by is Cloudwalker. It sounds like a great book. Thanks, Carrie. It is gorgeously illustrated. It is a B.C. book so I wonder if it is currently available in the U.S. Hope so. What a great set of titles (as always, Carrie). I loved 14th Goldfish. I think it has a great balance of just a little “sci fi” to get those kids who aren’t already science fiction readers hooked. Very true. I think it has such interesting appeal. And what characters! Glad you loved The Fourteenth Goldfish. It is one of my favorite MG titles of the year. Oh me too! Going to have a hard time picking my 2014 favourites this year. Just starting Brown Girl Dreaming… loved Nest, tough one though. Have never read Tashi, hmm… popular with some classes at my school… Happy reading to you. I just finished Brown Girl Dreaming. I wanted to crawl into the pages and just float around in the words. So powerful.